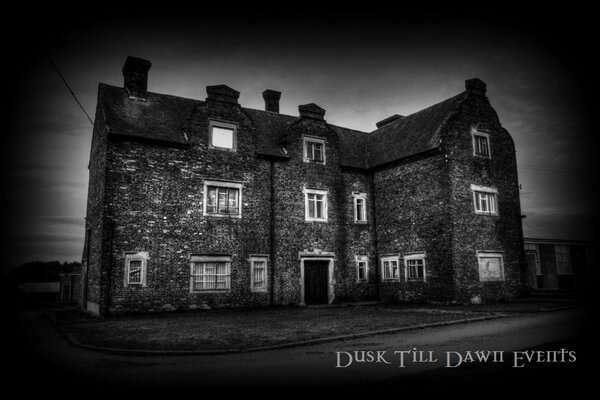 Join the Dusk Till Dawn Events Team inside the very haunted Gresley Old Hall in Derbyshire. Gresley Old Hall, dating right back to 1664, is renowned to be reputedly haunted. The Hall is said to contain a plethora of paranormal activity from the many spectres, which are thought to still haunt here. The Old Hall was built with material from the original old priory, which once stood on the grounds in 1543, dating as far back to the 1100’s. Inside the property, an original, early 18th Century staircase can be found, along with different floor levels and a dark, atmospheric attic, just perfect for an investigation. It is thought an array of spirits and ghosts still remain inside the walls of this property, however, various Mediums that have visited have sensed the spirit of a female, thought to have been a maid who worked at the Old Hall back in the Victorian era. To back these reports up a strange ghostly image was captured on camera in 2015; many believe that the image captured is that of the young girl. With many avid ghost hunters that investigate this daunting location time and time again due to the activity found here, this is a must see and do ghost hunt. This formidable building is not for the faint heated however, you will need wits about you as this daunting location is certain to send shivers up your spine from the moment you enter its dark doors! Please note this event is not suitable for anyone with mobility issues. Before booking this event please read the following as per our terms and conditions that are agreed at the point of sale: All payments including deposits and payments in full are non-refundable and non-transferable regardless of any circumstances. When you make a booking with us it is entirely your responsibility to ensure that you are able to make the event date that you have booked, as Dusk Till Dawn Events cannot offer a refund or transfer your places onto another event date if you or any of your party are unable to attend regardless of any circumstances. The reason for this is that all places are paid for in advance to our locations, which means we are still liable for these costs even if you cannot attend the event. Deposit option is not available on this event. Please Note: This event may or may not include a guest Medium(s) or any history tour of the building. This event is not suitable for those with mobility issues.